The days start getting longer and we instantly think about the summer time ahead. What a wonderful time approaching for vacations, picnics and beaches under the warm sun. But reality checks! It would get hot, burning skin and tiring days. Once back home to rest and enjoy, it is always so comforting having a cool atmosphere inside your home to fight the heat in summers. But yet another thought rings! Would my air conditioner work through the season? Now is the time to check, clean and repair. To note, Air Conditioner repair can come out as highly expensive when called for a professional to handle if you wait until something goes terribly wrong. Stating obvious, some of the repairs may be unavoidable and costly, but a self pre-check and troubleshooting your Air Conditioner turns out to be very helpful. It is really hard to watch your money go to a professional for a simple repair. One of the most cost-effective ways is to give proper maintenance and care on a gradual basis. Some of the common problems you may face are low refrigerant, low airflow, leaky ducts, weird sounds, etc. Such inconveniences cause the performance and efficiency to get hampered and deliver undesirable results. There are some easy and quick checks you can run to ensure proper working of your Air Conditioner. To start with, always have the manuals of the Air Conditioner with you as at times like these they come in handy. Changing or cleaning the primary filters would helps in overall air conditioning system performance. This would remove the dirt and ensure a good air quality. Not only it maximizes the airflow, it also reduces the energy consumption of your house further supporting the environment. Also, it would not be a bad idea to check the condenser along as it might comprise of dust or blockage. If there is no adequate cooling, check your Thermostat and lower it down to five degrees. Make sure the Thermostat is set below the room temperature. If it is not working properly, consider changing the batteries. Problem not fixed? Get a hold of the dirty evaporator, clean it and let it run for few hours. It might just happen that your unit has frozen ice. But don’t worry, it is a simple procedure! Just turn off the system and run the fan for the ice to melt quickly. Else, you always have an option to wait for the ice to melt on its own. Easy, isn’t it? Air Condenser giving a Problem? As mentioned earlier, it just might be dirt or blockage. In addition, check the power, night be a blown fuse or tripped circuit breaker. Restore the Power and try again! Leaving the inside of the air conditioner, it is a good idea to clean the surface of the unit. Also, quickly clean the fan blades and condenser fins. But, be careful! These are not that firm and can easily bend or break. Don’t want to add up some silly costs, right? 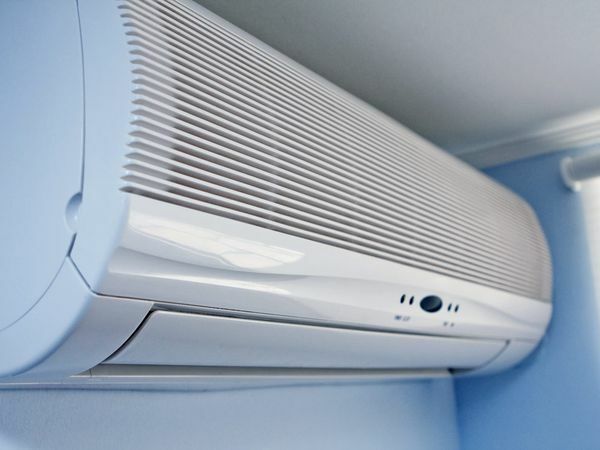 Proper and effective maintenance of the air conditioner can increase the life span of the system, prevent costly breakdowns and add to proper energy consumption and efficiency. Overall Maintenance is necessary and some quick repair hacks come as a rescue.